I will admit that when I learned that I was to write an article on the psychology, theory, and science of happiness, I thought “easy!”. Little did I know the overwhelming depth of this topic! I found myself asking questions – can science explain happiness? Can happiness be measured? What is happiness, anyway? Arguably, a lot has been written on the topic of happiness, including on this website. The following provides an exploration of happiness, and, importantly, it provides you with links to further resources on this important topic. Keep reading to discover a range of topics including the main theories of happiness, and a fascinating look at the neuroscience of happiness, as well as an interesting discussion on topics such as subjective well-being (the more scientific term for happiness), what positive psychology has to say about happiness, success and happiness, and more. Hopefully, it will answer some questions about happiness. Please enjoy! What exactly do we mean when we talk about a scientific explanation of happiness? What, in fact, is the science of happiness? Put very simply, the science of happiness looks at “what makes happy people happy” (Pursuit of Happiness, 2018). If you think about it, the subjective nature of happiness makes it incredibly difficult to define and also challenging to measure (Kringelbach & Berridge, 2010). Happiness has been the topic of discussion and debate since the ancient Greek times. Hedonism has a long history (Ryan & Deci, 2001). Science has looked closely at happiness as ‘hedonically’ defined – or, in other words, happiness is the outcome of the pursuit of pleasure over pain (Ryan & Deci, 2001). Aristippus, a Greek philosopher from the 4th century BC claimed happiness was the sum of life’s ‘hedonic’ moments (Ryan & Deci, 2001). Hedonic enjoyment is a state whereby an individual feels relaxed, has a sense of distance from their problems and, can be said to feel ‘happy’ (Ryan & Deci, 2001). Since the days of Aristotle, happiness has been conceptualized as being composed of at least 2 aspects – hedonia (or, pleasure) and eudaimonia (a sense that life is well-lived) (Kringelbach & Berridge, 2010). What does science say about this? Well, research has shown that, whilst these two aspects are definitely distinct and that, in ‘happy’ people, both hedonic and eudaimonic components of happiness correspond (Kringelbach & Berridge, 2010). A study by Kesebir and Diener (2008) report that in happiness surveys, more than 80% of interviewees rated their overall ‘eudaimonic’ life satisfaction as “pretty to very happy” and, at the same time, 80% of people interviewed also rate their current, hedonic ‘mood’ as positive (e.g. giving a rating of 6-7 on a 10-point valence scale, where 5 is ‘hedonically neutral’). Neuroscientists have made substantial progress into investigating the functional neuroanatomy of pleasure (which, according to Kringelbach and Berridge 2010, makes an important contribution to our experience of happiness and plays a key role in our sense of wellbeing). Pleasure has, for many years in the discipline of psychology, been closely associated with happiness (Kringelbach & Berridge, 2010). According to Sigmund Freud (1930) people: ‘strive after happiness; they want to become happy and to remain so. This endeavor has two sides, a positive and a negative aim. It aims, on the one hand, at an absence of pain and displeasure, and, on the other, at the experiencing of strong feelings of pleasure’ (p. 76). Kringelbach and Berridge (2010) argue that the neuroscience of both pleasure and happiness can be found by studying hedonic brain circuits. This is because, according to most modern perspectives, pleasure is an important component of happiness. Does this provide the opportunity to ‘measure’ happiness, therefore providing a scientific explanation of happiness? In fact, work of neuroscientists has found that pleasure is not merely a sensation, or thought, but rather an outcome of brain activity in dedicated ‘hedonic systems’ (Kringelbach & Berridge, 2010). All pleasures, from the most fundamental (food, sexual pleasure) right through to higher-order pleasures (e.g. monetary, medical, and altruistic pleasures) seem to involve the same brain systems (Kringelbach & Berridge, 2010). Some of the hedonic mechanisms are found deep within the brain (the nucleus accumbens, ventral pallidum, and brainstem) and others are located in the cortex (orbitofrontal, cingulate, medial prefrontal and insular cortices) (Kringelbach & Berridge, 2010). It can be said, then, that pleasure activated brain networks are widespread. Despite this exciting finding – a brain network for happiness – Kringelbach and Berridge (2010) say that further research is needed to fully comprehend the functional neuroanatomy of happiness. As well as the findings from neuroscience supporting an anatomical basis to happiness, another component of a scientific explanation of happiness is the issue of measurement. Some individuals argue that maybe happiness should not be the subject of scientific explanation because it is impossible to objectively measure it (Norrish & Vella-Brodrick, 2008). Perhaps, though, as argued by Ed Diener, happiness is subjective. According to Ed Diener, people are happy if they think they are, and each person is the best judge of whether they are, in fact, happy or not (Norrish & Vella-Brodrick, 2008). He introduced a term to describe this ‘measure’ of happiness: Subjective wellbeing. Controlled experiments can be devised to determine what can be done to raise/lower these responses. The Experience Sampling Method (ESM) has been valuable in the assessment of subjective well-being. It has been a positive development in the science of happiness. ESM provides an overall indication of well-being over time, based on the total balance of measurement of positive and negative affect at different times (Norrish & Vella-Brodrick, 2008). Diener provided evidence that subjective well-being has “construct validity” meaning that, yes, it is measuring something ‘real’! This is because Diener showed that subjective well-being is constant over time, is highly correlated with some personality traits and has the capacity to predict future outcomes. Diener and colleagues suggest that it is possible to measure happiness using valid, reliable methods including using instruments, looking at observable indicators of happiness such as smiling behavior, and objective reports from one’s friends and family (Norrish & Vella-Brodrick, 2008). “the main weakness of subjective measure is that they are affected by cognitive biases such as the effects of expectation and adaptation so that we don’t know how far to believe the scores” (p. 19). However, other researchers have developed several well-validated scales for measuring happiness, supporting its’ validity as a scientific construct. Consists of twenty items. Participants read a series of statements and select the one that best describes how they are at the present time. Items indicate three kinds of ‘happy life’ – the pleasant life, the engaged life, and the meaningful life. These dimensions will be explored closely very soon! Consists of four items to assess global subjective happiness. The participants read four statements, including ‘In general, I consider myself…’ and the individual then selects an item from 1 to 7 from, for example, ‘not a very happy person’ to ‘a very happy person’. Test-retest and self-peer correlations have suggested good to excellent reliability, and construct validation studies of convergent and discriminant validity have confirmed the use of this scale to measure the construct of subjective happiness. This scale is also referred to as the Emotion Questionnaire as it assesses emotional wellbeing as an indication of perceived happiness. It is comprised of two items. The first is a scale measuring happiness/unhappiness by participants ranking descriptive phrases on a 0 – 10 scale. The other item making up the test requires participants to give an approximate percentage of time that he/she feels happy, unhappy and neutral. The test has shown to have adequate reliability and validity. Therefore, evidence from neuroscience, paired with evidence from the measurement of subjective well-being, or, happiness, suggest that a scientific explanation of happiness is, in fact, possible. It is overwhelming to consider what happiness is… where to begin?! Happiness has been the topic of discussion and debate since the ancient Greek times. In 1973, ‘Psychology Abstracts International’ began listing happiness as an index term (Diener, 1984). However, because happiness is a term that is used widely and frequently, it has various meanings and connotations (Diener, 1984). A long-term process of meaning-making and identity development through achieving one’s potential and the pursuit of subjectively relevant goals. Historically, since the days of Aristotle, happiness has been conceptualized as being composed of at least 2 aspects – hedonia (or, pleasure) and eudaimonia (a sense that a life is well-lived) (Kringelbach & Berridge, 2010). Research has shown that, whilst these two aspects are definitely distinct, that in ‘happy’ people, both hedonic and eudaimonic components of happiness correspond (Kringelbach & Berridge, 2010). A study by Kesebir and Diener (2008) report that in happiness surveys, more than 80% of interviewees rated their overall ‘eudaimonic’ life satisfaction as “pretty to very happy” and, at the same time, 80% of the people interviewed also rate their current, hedonic ‘mood’ as positive (e.g. giving a rating of 6-7 on a 10-point valence scale, where 5 is ‘hedonically neutral’). Hedonism – in other words, to be happy is to experience, on the whole, a majority of pleasure. Hedonia. Life-satisfaction view – to be happy is to have a favorable attitude about one’s life as a whole, either over its entirety or just over a limited period of time. Eudaimonia. Affective state theory – that happiness depends on an individual’s overall emotional state. Other theories of happiness are so-called ‘hybrid’ theories that combine the life satisfaction theory with other hedonistic or affective-state theories (Haybron, 2003). One of these hybrid theories is the one that is the most widely accepted theory of happiness: subjective wellbeing (Haybron, 2003). Subjective well-being is considered to be a more scientific term than happiness. Hedonism has a long history (Ryan & Deci, 2001). Science has looked closely at happiness as ‘hedonically’ defined – or, in other words, the pursuit of pleasure over pain (Ryan & Deci, 2001). Aristippus, a Greek philosopher from the 4th century BC claimed happiness was the sum of life’s ‘hedonic’ moments (Ryan & Deci, 2001). Hedonic enjoyment is a state whereby an individual feels relaxed, has a sense of distance from their problems and, can be said to feel ‘happy’ (Ryan & Deci, 2001). Hedonia refers, in simple terms, to the pursuit of pleasure. It was argued by Hobbes that happiness is found in the successful pursuit of our human appetites, and DeSade went on to say that the pursuit of sensation and pleasure is the ultimate goal of life (Ryan & Deci, 2001). The Utilitarian philosophers, including Bentham, put forth the argument that a good society is one which is developed out of individuals attempting to maximize pleasure and pursue self-interest (Ryan & Deci, 2001). It should be clarified that hedonia, in respects to happiness, does not have the same meaning as physical hedonism: happiness can come not only from short-term pleasure, but can also arise from achieving goals or other valued outcomes (Ryan & Deci, 2001). So-called hedonic psychologists are of the belief that happiness can include the preferences and pleasures of the mind, as well as the body (Ryan & Deci, 2001). Kahneman (1999) defined hedonic psychology as the study of “what makes experiences and life pleasant and unpleasant” (p. ix). Within the framework of hedonic psychology, the terms well-being and hedonism are used interchangeably (Ryan & Deci, 2001). Hedonic psychology explains wellbeing in terms of pleasure versus pain, and it, therefore, becomes the center of much research and also interventions that principally aim to enhance human happiness (Ryan & Deci, 2001). Hedonic psychology has been a focus of the theory of happiness, in part, due to the links between hedonia and other dominant theories. For example, hedonia ties in with behavioral theories of reward and punishment, as well as theories that focus on the cognitive expectations of the outcomes of reward and punishment (Ryan & Deci, 2001). the absence of a negative mood (Ryan & Deci, 2001). Aristotle argued that, because of man’s unique capacity to reason, pleasure alone cannot achieve happiness – because animals are driven to seek pleasure, and man has greater capacity than animals (The Pursuit of Happiness, 2018). In striving for happiness, the most important factor is for a person to have ‘complete virtue’ – in other words, to have good moral character (Pursuit of Happiness, 2018). Eudaimonia was, according to Aristotle, “activity expressing virtue” that will therefore lead to a happy life. Aristotle proposed that happiness was neither virtue, or pleasure, but rather the exercise of virtue. The argument taken by the Aristotelian view is that happiness, per se, is not the principal criterion of wellbeing (Ryan & Deci, 2001). Proponents of this view see wellbeing as achieved by people living in accordance with the ‘daimon’ (true self). (Ryan & Deci, 2001). Eudaimonic theories of happiness argue that rather than the pursuit of pleasure, happiness is the result of the development of individual strengths and virtues (Norrish & Vella-Brodrick, 2008). The theory of eudaimonic happiness has its basis in the concept of the self-actualising individual (proposed by Maslow) and the concept of the ‘fully functioning person’ (Rogers) (Norrish & Vella-Brodrick, 2008). Many modern scientific explanations of happiness are conducive with the theory of eudaimonic happiness. For example, Waterman suggested that happiness is enhanced by people acting in accordance with their most deeply held values (Norrish & Vella-Brodrick, 2008). Waterman also introduced the term ‘personal expressiveness’ to describe the state of authenticity that occurs when people’s activities reflect their values. The eudaimonic theory of happiness adopts the Self-Determination Theory to conceptualize happiness (Deci & Ryan, 2000). This theory argues that fulfillment in the areas of autonomy and competence will enhance happiness. In other words, this view suggests that subjective wellbeing (i.e. happiness) can be achieved through engaging in eudaimonic pursuits (Norrish & Vella-Brodrick, 2008). To recap, this theory of happiness proposes that happiness is the result of one’s overall emotional state. Bradburn (1969) put forward the argument that happiness is made up of two separate components that are quite independent and uncorrelated: positive affect and negative affect. According to Bradburn, happiness is a global judgment people make by comparing their negative affect and positive affect (Diener, 1984). This led to the development of the Affect Balance Scale (Diener, 1984). The Bradburn Affect Balance Scale is a self-report measure of the quality of life. The scale is made up of descriptions of ten mood states (for example, item one is feeling “particularly excited or interested in something”), and the subject reflects upon whether they have been in that mood state during the last week. A measure of the quality of life, as an indication of happiness, is derived by the sum of the ‘negative’ items are taken away from the sum of the ‘positive’ items (Diener, 1984). Affect state theory also takes the view that the absence of negative affect is not the same thing as the presence of positive affect (Diener, 1984). The discipline of positive psychology has developed some unique theories of happiness. For example, Seligman (2002) introduced the Authentic Happiness theory. This theory is based around the notion that authentic happiness results from a person living according to their ‘signature strengths’ which develop as people become aware of their own personal strengths and take ownership of them (Seligman, 2002). Another theory of happiness is Csikszentmihalyi’s ‘flow’ theory. Flow may be defined as “the state of engagement, optimal happiness, and peak experience that occurs when an individual is absorbed in a demanding and intrinsically motivating challenge” (Norrish & Vella-Brodrick, 2008, p. 395). This state of engagement has been proposed to be a pathway to happiness (Norrish & Vella-Brodrick, 2008). Some psychologists suggest that perhaps, in fact, happiness is relative – or, in other words, it is an evaluation of subjective judgments about one’s situations, comparing others’ situations to one’s own or even one’s earlier situations, goals or aspirations (Norrish & Vella-Brodrick, 2008). This argument has, however, been refuted. Veenhoven explains that comparison may affect the cognitive or life-satisfaction aspects of happiness, but that the affective component results from hedonic experience (meeting one’s fundamental needs) and is therefore quite separate of any comparisons (Norrish & Vella-Brodrick, 2008). To summarise these related topics – the scientific explanation of happiness and the theory and science of happiness – there are a number of theories conceptualizing happiness and in keeping with these theories, the term can have slightly different meanings. Subjective well-being is typically thought of as the scientific basis of what we mean when we talk about happiness, and it has been shown to be a valid construct that is able to be measured. Way back in 1929, Walter A. Pitkin wrote ‘The Psychology of Happiness’ and in this book, he differentiated between happiness and related emotions including pleasure and enjoyment (Samuel, 2019). He argued that achieving happiness was not merely the result of luck or chance. Since this time, psychologists have continued to try and define happiness. According to psychology, happiness is about more than simply the experience of a positive mood. In order to describe happiness, psychologists commonly refer to subjective well being (Kesebir & Diener, 2008). In other words, happiness is “people’s evaluations of their lives and encompasses both cognitive judgments of satisfaction and affective appraisals of moods and emotions” (Kesebir & Diener, 2008, p. 118). The psychological inquiry into happiness is important because happiness is not only associated with improved physical health and even longevity, but it is also a priority for people – across the world, happiness has been rated as being more important than other desirable outcomes including living a meaningful life or making a lot of money (Psychology Today, 2019). These theories suggest that happiness results from striving to achieve appropriate goals and meeting one’s fundamental human needs (Nelson, Kurtz & Lyubomirsky, in press). Deci and Ryan (2000) for example, proposed Self-determination Theory, which stipulates that wellbeing is achieved when one meets their basic human needs including autonomy, competence, and relatedness. These propose that wellbeing is influenced by genes, and is associated with the personality traits of extraversion and neuroticism (Nelson et al., in press). This, in turn, implies that wellbeing does not change much over time. Process/activity theories argue that wellbeing may be improved by participating in activities that are engaging and require effort (Nelson et al., in press). Psychologists ask the question, ‘is it possible to increase one’s happiness?’. Some psychologists claim that making an attempt to enhance happiness is pointless because happiness levels are predetermined and stable over time (Norrish & Vella-Brodrick, 2008). Consistent with this argument is the Happiness Set Point. The Happiness Set Point argues that a person’s state of happiness will be constant over time, regardless of changes in circumstances (Norrish & Vella-Brodrick, 2008). Adapting to environmental changes is termed ‘the hedonic treadmill’ or ‘homeostatic control’ (Norrish & Vella-Brodrick, 2008). This notion of adaptation (leading to relatively stable levels of happiness) is supported by findings in research that individuals who may be high in either positive or negative affect (e.g. lottery winners, paralysis victims) demonstrate that their happiness levels revert to their ‘usual’ range after a period of time (Norrish & Vella-Brodrick, 2008). Some psychologists argue that the Happiness Set Point provides evidence that happiness cannot be enhanced (Norrish & Vella-Brodrick, 2008). There is a perspective taken by some psychologists that happiness is a ‘trait’ or a personal disposition to experience a certain affect. This perspective suggests that happiness is relatively stable over time, and therefore efforts to increase happiness are futile (Norrish & Vella-Brodrick, 2008). However, research has shown that although subjective well-being may be associated with personality traits (e.g. extraversion), that differences in reports of happiness levels over time suggest that, in fact, happiness is not a trait (Norrish & Vella-Brodrick, 2008). Thus, happiness has been an important area of focus for psychologists. What, then, about the more recent science of happiness…positive psychology? Positive psychology can be described as a psychology of potential, and what ‘could be’ as compared to what ‘is’ (Seligman & Csikszentmihalyi, 2000). It aims to shift what has historically been the predominant focus of psychology – pathology – to examining the development of positive qualities in individuals and communities (Seligman & Csikszentmihalyi, 2000). In other words, Positive Psychology aims to understand and cultivate the factors that put individuals, communities, and societies in a position where they are able to ‘flourish’ (Fredrickson, 2001). What does it mean to ‘flourish’? Put simply, it is a state of optimal wellbeing (Fredrickson, 2001). Fredrickson (2001) asked the question “what role do positive emotions play in positive psychology?”. Well, as it turns out, happiness can be thought of as experiencing predominantly positive emotions, or affective states, rather than negative ones (Tkach & Lyubomirsky, 2006). Thus, positive emotions are a sign of flourishing, or, in other words, happiness (Fredrickson, 2001). Happiness is central to the assumptions of positive psychology. In other words, happiness exists when positive emotions are dominant, with the experience of negative emotion minimal. The so-called ‘pleasant life’ is one which involves enjoyable and positive experiences. Engagement refers to being fully involved in a task that is at hand and feeling absorbed by it. According to Seligman (2002), the ‘good life’ is a result of a person developing and then demonstrating their ‘signature’ strengths and virtues in relationships, work, and leisure. ‘Signature strengths’ are the result of an individual discovering the unique strengths that they already have and taking ownership of these (Seligman, 2002). Meaning exists when we have a higher purpose than ourselves. The ‘meaningful life’ sees a person using their signature strengths to work towards the greater good. These three elements combine to, according to positive psychology, result in authentic and stable happiness (Vella-Brodrick, Park & Peterson, 2009). What then, is authentic happiness? Authentic happiness results from identifying and developing ‘signature strengths’ and virtues (AIPC, 2011). It is suggested that in order to achieve authentic happiness, people should pay attention to their strengths rather than their weaknesses (AIPC, 2011). Let’s look at some interesting happiness research! In a large random-assignment experiment, Seligman and colleagues (2005) operationalized then evaluated 5 different happiness interventions. They found that two of the interventions – writing about three good things the person had experienced each day and why they occurred, and using ‘signature strengths’ in a novel way – made people happier, and less depressed up to six months later! Compared to participants who engaged in the intervention, those in the placebo control group returned to the baseline levels of happiness and depression symptoms after just one week! Lyubomirsky and colleagues (2006) conducted three studies examining the effects of writing, talking and thinking about significant life events – ‘triumphs and defeats’. While the majority of psychological research has focused on the way in which negative life circumstances are processed and managed, this unique study looked at the processing a positive life experience (Lyubomirsky, Sousa & Dickerhoof, 2006). This aspect of the study involved participants reflecting on their happiest day. While the researchers found that thinking while ‘replaying’ one’s happiest moment resulted in enhanced personal growth, improvements in general health and physical functioning, as well as lower pain levels, compared to the outcomes if the person was concurrently writing whilst analyzing their happiest moments. The findings of the study suggest that people should be advised against over-analyzing or trying to make sense of a happy experience. 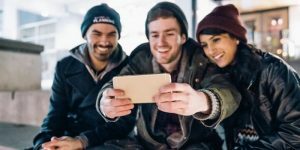 Rather, Lyubomirsky and associates suggest that individuals should feel content in reliving and savoring happy experiences rather than trying to understand their meanings or causes. Even though the experience of happiness is related to greater well-being and psychological health, in fact, some studies have shown that the desire to feel happy in an extreme form, or even simply placing a high value on happiness, can be detrimental in terms of well-being. In fact, in a research study by Ford and colleagues (2014), it was found that the emphasis placed upon attaining happiness can present a risk factor for symptoms and even a diagnosis of depression. In a study of 181 participants, Sheldon et al. (2010) conducted a 6-month longitudinal experiment that sought to increase the happiness levels of those in the ‘treatment’ condition. The treatment group set goals to increase their feelings of autonomy, competence or relatedness in life while the comparison group set out to improve their life experiences. In fact, it was found that those individuals in the treatment group had sustained increases in happiness (Sheldon et al., 2010). However, this gain lasted only while the individuals were actively engaged with the goals. Interestingly, those who initially had a positive attitude towards change in happiness experienced greater benefits from the treatment! (Sheldon et al., 2010). What, do you ask, is the Happiness Research Institute? Well, it is an independent ‘think tank’ developed to investigate the reasons that some societies are happier than others. The Happiness Research Institute aims to provide relevant parties with up-to-date information about the origins and effects of happiness, as well as to draw attention to subjective wellbeing as an important area for public policy debate. Furthermore, the Institute aims to improve the quality of life of all people. The Happiness Research Institute provides knowledge, consultancy, and presentations. An example of the knowledge-building activities carried out by the Institute was that, in 2018, the Happiness Research Institute, in conjunction with the Nordic Council of Ministers compiled a study that was called ‘In the shadow of happiness’. The study examined the reasons why some people living in Nordic countries are happy whilst others are suffering or struggling. The research also involved an analysis of why some groups within this cluster are struggling more often, and the impact this has on society. In terms of consultancy, the Happiness Research Institute has also worked with groups including the Danish government, the Minister of State for Happiness in the United Arab Emirates (UAE) and the city of Goyang in South Korea. The aim of these partnerships is to improve quality of life and wellbeing of citizens. Presentations by the Happiness Research Institute have taken place globally and featured at more than 1000 international events to share knowledge about what drives happiness, wellbeing, and quality of life. The Happiness Research Institute analyses the somewhat separate components of the different cognitive, affective and eudaimonic dimensions of happiness, well being and quality of life in order to explore these complex concepts. As previously explained, the cognitive dimension refers to the appraisal of overall life satisfaction, while the affective dimension focuses on the emotions that people experience on a daily basis. Finally, the eudaimonic dimension looks at Aristotle’s perception of the ‘good life’ and is centered on purpose and meaning. The reason that the Happiness Research Institute measures happiness is in order to shift policy priorities and therefore try and improve quality of life in societies, that will facilitate, in turn, the achievement of goals such as longevity and productivity. The Institute focuses not on the factors that cannot be changed (i.e. genetics, biology) but rather policies (that can be changed over time) and behavior (that can be changed immediately). By examining the policies related to overall life satisfaction (i.e. the cognitive dimension of happiness) the Happiness Research Institute can explain 75% of the variance between more than 150 countries which are included in the World Happiness Report. The Institute also hopes to highlight the overlooked dimension of inequality in wellbeing, and increase the awareness and understanding of this inequality. The Happiness Research Institute is accessible via Twitter, Facebook, and LinkedIn, and Meik Wiking is the CEO. Professor Paul Dolan was coined ‘the happiness professor’ in The Telegraph in July, 2018. Professor Dolan is the Professor of Behavioural Science at the London School of Economics and Political Science. He is a leading expert in the fields of human behaviour and happiness. The development of measures of happiness and subjective wellbeing that can then be used in policy, and by individuals who are looking to be happier. Utilising work from behavioural science that can be used to understand and change individual behaviour, and contribute more to this evidence base. ‘[Positive Psychology] takes you through the countryside of pleasure and gratification, up into the high country of strength and virtue, and finally to the peaks of lasting fulfillment: meaning and purpose’ (p. 61). Seligman also wrote a book titled Learned Optimism: How to Change Your Mind and Your Life. He is an acclaimed author, and psychologist, also known for his work on ‘learned helplessness’ which has been popular within the discipline of psychology. Fordyce (December 14, 1944 – January 24, 2011) was a pioneer in the subject of happiness research (Friedman, 2013). In 1977, in the journal Social Indicators Research, the Fordyce Happiness Scale was published. In his multitude of research, Fordyce demonstrated that happiness can be measured statistically, and that also, by engaging in ‘volitional behavior’, happiness can also be deliberately increased (Friedman, 2013). Diener was born in 1946, and is also known as ‘Dr. Happiness’ (Pursuit of Happiness, 2018). He is a leading researcher in the field of positive psychology. Diener is perhaps best known for coming up with the term “subjective wellbeing”, which is the component of happiness that can be empirically measured (Pursuit of Happiness, 2018). Diener believes that happiness has a strong genetic component, and thus is relatively stable. He also developed the Satisfaction with Life Scale. Lyubomirsky is a research psychologist who writes the Psychology Today blog titled ‘The How of Happiness’ (Sonja Lyubomirsky, 2019). She is a professor and vice chair at the University of California, Riverside. Lyubomirsky is the author of two books: The How of Happiness, and The Myths of Happiness. Gilbert, a social psychologist, is also referred to as Professor Happiness at Harvard University (Dreifus, 2008). He is in charge of a laboratory that has been set up to investigate the nature of happiness. Gilbert’s main work centres around the fact that relationships with family and friends, and that the time spent investing in these social relationships contribute more to happiness than material possessions (Dreifus, 2008). He suggests that more pleasure can be found in experiences, rather than goods or objects – perhaps, he argues, because experiences can be shared with others whereas possessions are generally not shared (Dreifus, 2008). Lyubomirsky, S., King, L., & Diener, E. (2005). The benefits of frequent positive affect: Does happiness lead to success? Psychological Bulletin, 131, 803 – 855. Can having more money actually make us happy? Given that the countries ranked as the happiest by the World Happiness Report – released by the United Nations looking at the self-reported happiness of individuals living in different countries – are highly developed and prosperous, it would seem clear that positive affect is associated with wealth (Psychology of Happiness, 2019). Kahneman, D., & Deaton, A. (2010). High income improves evaluation of life but not emotional wellbeing. PNAS, 107, 16489 – 16493. So, although wealth can be a sign of success, and enable individuals to make more choices than they may have been able to previously, it is not the case that money can buy happiness. As described by Norrish and Vella-Brodrick (2008), “it has been found that after basic human needs are met, happiness is not clearly associated with wealth or material affluence” (p. 398). Follow the links below to some intriguing research in PDF form! 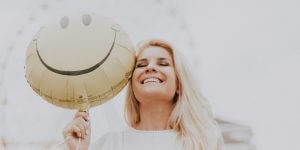 This article provides a snapshot of a huge topic which is, in fact, the overarching focus of positive psychology: happiness. It has been shown that subjective well-being is the closest thing to a scientific equivalent to happiness, which can be measured. The main feature of this article is that it has provided a range of resources which you can refer to in the future, including 16 key papers published in the last two years. So, happiness… an elusive phenomenon, which we all seem to strive for. Hopefully this article has provided an overview of what is, undoubtedly, a very important issue. We all strive to be happier. What is your understanding of happiness? What do you think makes happy people happy? Do you think that happiness can be measured, or, like some argue, do you think it is purely subjective? What do you think about the recent articles shared? Please feel free to discuss this interesting topic further! I hope you have claimed some important take-home messages on happiness. Thanks for reading! Argyle, M. (2001). The Psychology of Happiness. Routledge. Deci, E. L., & Ryan, R. M. (2000). The “what” and “why” of goal pursuits: Human needs and the self-determination of behaviour. Psychological Inquiry, 11, 227 – 268. Diener, E. (1984). Subjective well-being. Psychological Bulletin, 95, 542 – 575. Freud, S., & Riviere, J. (1930). Civilization and Its Discontents. New York: J Cape & H Smith. Kahneman, D. (1999). Objective happiness. In Well-being: The foundations of hedonic psychology. D. Kahneman, E. Diener, & N. Schwartz (Eds). USA: Russell Sage Foundation. Kringelbach, M. L., & Berridge, K. C. (2010). The Neuroscience of Happiness and Pleasure. Social Research (New York), 77, 659 – 678. Ryan, R. M., & Deci, E. L. (2001). On happiness and human potentials: A review of research on hedonic and eudaimonic well-being. Annual Review of Psychology, 52, 141 – 166. Tkach, C., & Lyubomirsky, S. (2006). How do people pursue happiness? Relating personality, happiness-increasing strategies and well-being. Journal of Happiness Studies, 7, 183 – 225. Vella-Brodrick, D. A., Park, N., & Peterson, C. (2009). Three ways to be happy: Pleasure, engagement and meaning – findings from Australian and US samples. Social Indicators Research, 90, 165 – 179. I am amazed at no mention of BROADEN AND BUILT THEORY by Barb Frederickson, nor of DR PAUL WONG’S POSITIVE PSYCHOLOGY 2.